As a child, I’ve always had a “best” friend Whom I always found to be my favorite person to spend time with. I didn’t understand the meaning of true friendship and love, so we both carried on our friendship based on a response we received from one another. Even as an adult, we feel like we “outgrow” a person because we really don’t know their love language. That’s challenging because we expect the other person to accept what we give them while getting it all wrong. If you experience this then fear not! The Top 5 Love Languages can re-energize your friendships! Did you know that you can grow and nurture meaningful relationships and love with your close friends using the 5 love languages? Yes, the 5 words of affirmation, quality time, acts of service, physical touch, and gifts- are not only resigned for lovers but also for platonic relationships. Showing a great friendship and love, and choosing to learn how your friends’ best experience love will take your friendships to a more meaningful place and improve relationships. So, how well do you understand your close friends? Can knowing your close friends’ love languages help you be a better friend to them? When we choose to learn our friends’ preferred modes of affection, we are better placed to create strong friendships, feel more connected to them, and offer them better support. 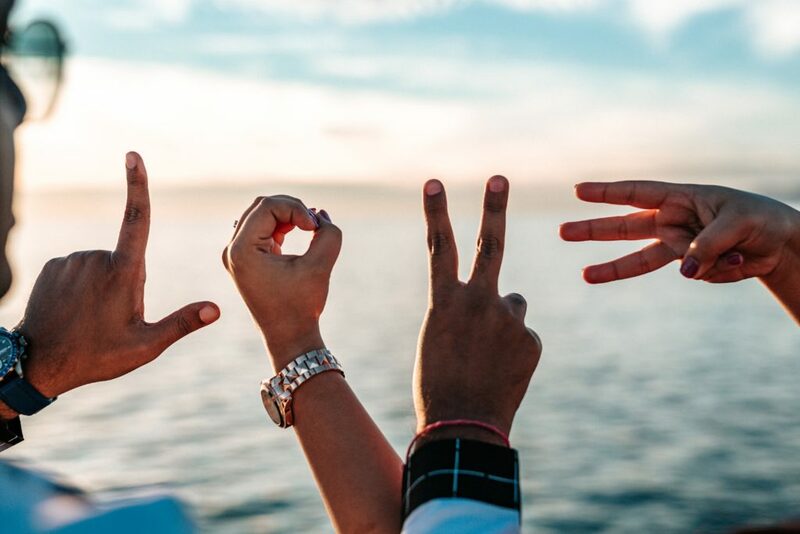 Read on to discover how you can reinforce your friendships using the 5 love languages just because you care about your friends. If you have studied your friend and discover they love praise, then they are the type of person who actually likes hearing words of love. Compliment them a lot, praise them and thank them as often as necessary. Avoid harsh words when passing criticism to them as it hits them very strong. You have to choose to be consciously aware of your words when you are around them. This will help improve relationships over time. This type of friend thrives on spending time with you and getting your undivided attention. They are not needy; they just connect better when they spend physical time with their friends. They are the best to take along for shopping or brunch. They thrive around company and not necessarily a crowd unless you confuse the two; they connect one on one. They value your friendship and love and feel most valued when you listen to them and they love listening to you too. This friend appreciates the small (or big) gestures you show them. When you offer to help them with their project, help them fix their garage door or room makeover, this builds a strong friendship with them. This friend doesn’t want you to be all weird about it, seeing you can touch your friends for only so long. A simple hug, shake hands while talking, hand on the shoulder, or just sitting next to this friend is okay with them. Still, remember personal space is important. They are quite straightforward, they love receiving gifts, thank you notes, even a candy bar. They don’t mind a Porsche if you can afford it, but you get the drift. They respond better to your friendship when you gift them. So the next time you spot something that reminds you of them, go ahead and pick it up to surprise them with it. It takes time to get used to, and commit to using available opportunities to learn your friends and improve relationships. The more you commit to consciously learn your friends, the easier it will get and the more you can build a strong friendship. You can learn more about the 5 love languages in more detail in Gary Chapman’s book “The 5 Love Languages: The Secret to Love That Lasts”. What is your love language, and does your friend know this?